PENELOPE LIVELY is a British writer of fiction for both children and adults. Her first book, “Astercote”, was published in 1970, and she subsequently won both the Carnegie Medal (for “The Ghost of Thomas Kemp) in 1973 and the Booker Prize (for “Moon Tiger”) in 1987. In 2012 she was made Dame Commander of the Order of the British Empire (DBE) for services to literature. She lives in London. MADELEINE L’ENGLE was an American author whose name has suddenly come back into vogue with the recent film of her most famous book, “A Wrinkle in Time”. During the 60s, 70s and 80s she wrote many other books for both adults and children, including others in the "Wrinkle" series about Meg, Calvin and Charles Wallace, but this is the one most people know. 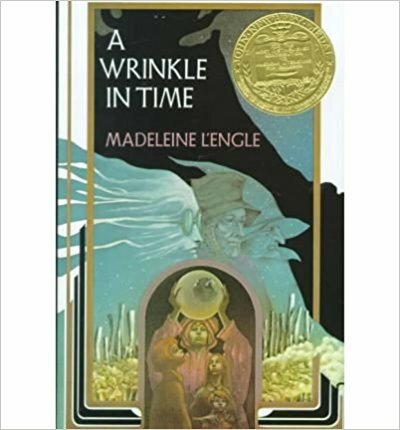 After more than thirty rejections “A Wrinkle in Time” was first published in 1962, and won her the Newbery medal in 1963. She died in 2007. HUGH LOFTING is probably best-known for his creation “Doctor Dolittle”. Born in 1886, he became a civil engineer, for which he travelled a good deal. 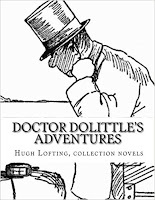 Doctor Dolittle first appeared in his illustrated letters to his children, written in the trenches while serving in the British Army during the First World War. He felt the news was too horrible to write about, so he invented a doctor who could talk to animals and wrote about him instead. These stories later became a series of ten books, many of which have been adapted for film and television many times, for stage twice, and for radio too. He wrote other books for children, but none achieved quite the fame of these. After the war he moved his family to the US, where he died in 1947. ASTRID LINDGREN was a Swedish writer whose most famous creation was Pippi Longstocking, a girl she invented to amuse her daughter when she was ill. Pippi appeared in a series of books, beginning in 1945, and became a great favourite with children all round the world. 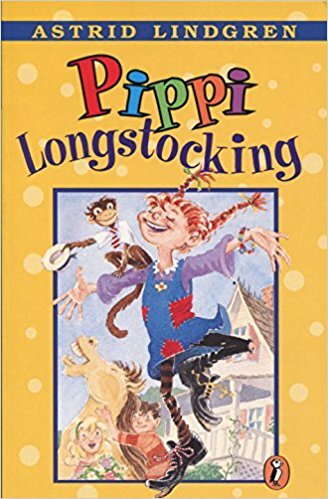 In 1958 she received the second Hans Christian Andersen award for her book “Rasmus and the Vagabond”, but although she wrote many other books for children, it is her for her books about Pippi Longstocking that she will mainly be remembered. By 2012 her books had been translated into 95 different languages. She died in 2002 aged 94. 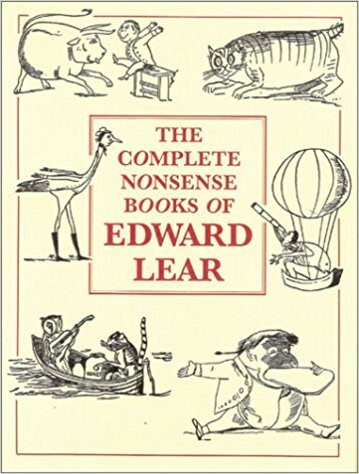 EDWARD LEAR, born in London in 1812, was an English artist, illustrator, musician, author and poet, but is known now mostly for his literary nonsense in poetry and prose and especially his limericks, a form he made popular. 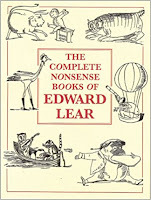 In 1846 he published “A Book of Nonsense”, a volume of limericks that went through three editions and helped popularise the form. In 1871 he published “Nonsense Songs, Stories, Botany and Alphabets”, which included his most famous nonsense song, “The Owl and the Pussycat”, which he wrote for the children of his patron Edward Stanley, 13th Earl of Derby. Many other works followed. He died in Italy in 1888. C. S. LEWIS, known as Jack, was born in Belfast in 1898, but moved to England to study at Oxford University in 1916, though he was quickly sent off to fight in the First World War. Returning to Oxford after the war he completed his degree and was subsequently elected Fellow and Tutor in English Literature at Magdalen College, where he served for 29 years until 1954. Among his fellow-tutor/writers there was J.R.R. Tolkein. C.S. 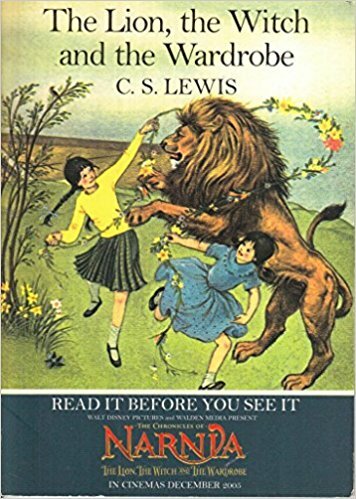 Lewis wrote many books for adults and children, but his most famous works for children are his Narnia Chronicles, beginning with “The Lion, the Witch and the Wardrobe”. He died in 1963. 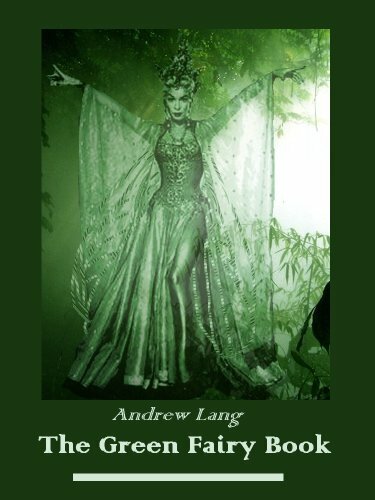 ANDREW LANG, born in 1844, was a Scottish poet, novelist, literary critic, and contributor to the field of anthropology, but today he is best known as a collector of folk and fairy tales. Together with his wife, Leonora, he edited Lang’s Colour Fairy Books (eg the Blue Fairy Book, the Lilac Fairy Book etc.) which are still enjoyed today. He died in Scotland in 1912. 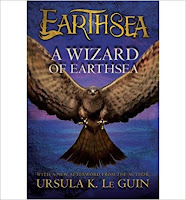 URSULA LE GUIN was an American writer, one of several promising authors who first began to publish science fiction in 1962. Her large volume of work is much admired by readers of science fiction and fantasy, both adults and children. 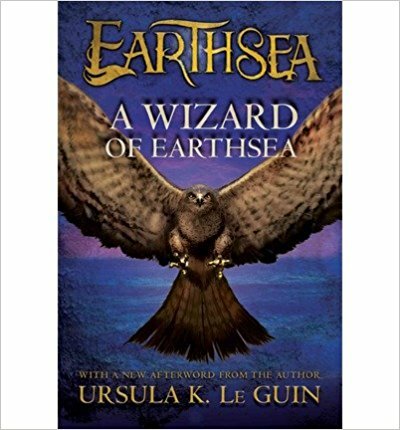 Her most successful fantasy novel for Young Adults, “The Wizard of Earthsea”, was published in 1968 and has not been out of print since. She died in January 2018. I hope you have enjoyed my selection of children's writers whose surnames begin with L. Next time we're on to the M's, of which there are quite a few. I have a lot of these in ebook. 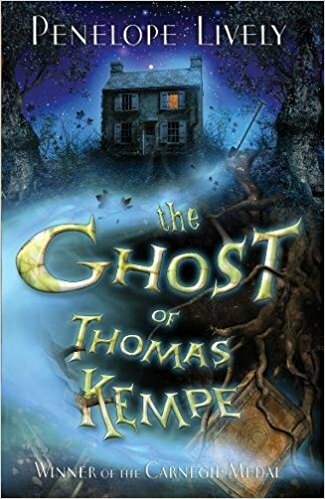 Not much Penelope Lively is available, though, or not in iBooks, so I was lucky to find a shabby old copy of Thomas Kempe in my school library. Nobody was reading it, and hadn't,for years,so I took it home. Definitely some classics there! Some lovely titles and writers here, Lynne. Thanks for reminding me - must take a look through my back bookshelves. Must add that "back bookshelves" is what I call the row of books behind the visible books. I don't know if there's any other way of describing it. The Non-Marie Kondo book-storage system?